I'm kind of obsessed with organization lately, my house is a work in progress still but I'm loving learning new ways to store my belongings and ridding my home of all the extra "shtuff" I don't need. It's a cleansing process. I'm so ready for the change and looking forward to organizing everything in our new place, something else that changed when we moved into our new house is our furniture! 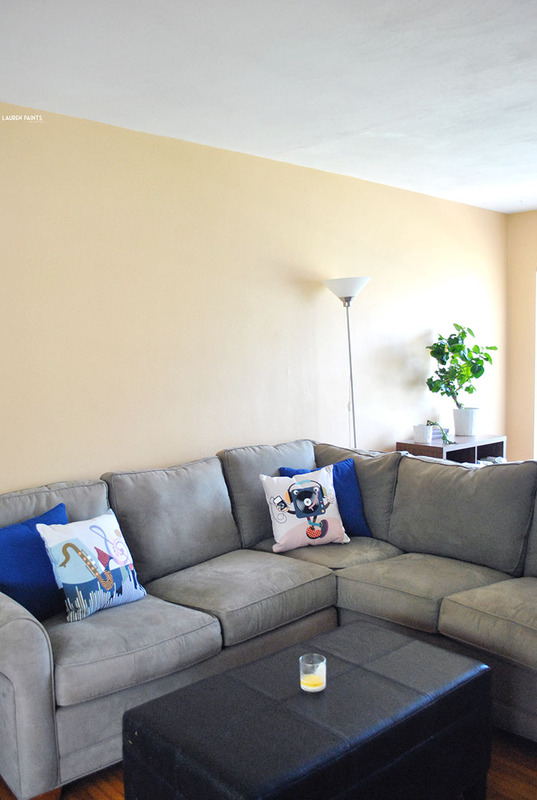 We've updated our couch, decided to add some new super jazzy and fun modern art pillows from Lanre, and hubs and I even did a remodel on an old dresser to make it into a gorgeous Pottery Barn-esque entertainment center. We've learned which projects we should leave to the pros and which projects are worth putting a little bit of effort into. Since I can't sew (yet) and he's not exactly mechanical, we decided to leave the couch and the pillows to the pros. We found our couch at a consignment shop, brand new straight from a furniture show room and it had just arrived the day we bought it. I highly recommend buying used if you are wanting to create a beautiful room on a budget. 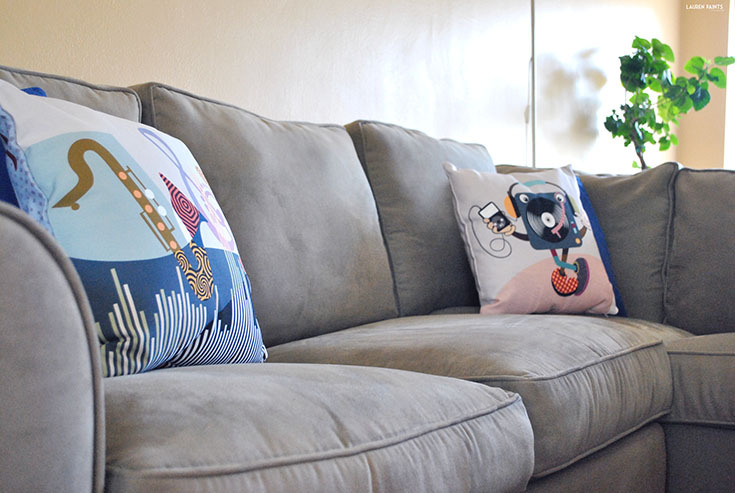 If you want to find pillows just as amazing as these beauties, you can find more here... as well as some information about the artist behind the brand and other beautiful products! 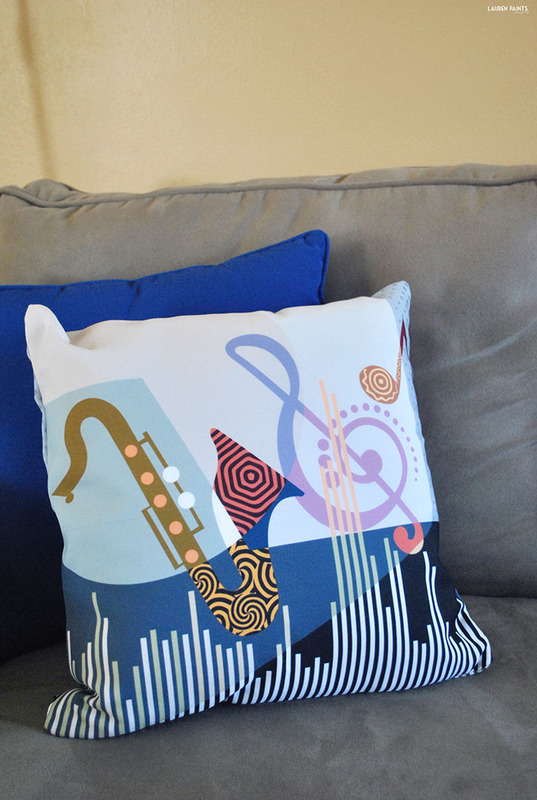 I love the way they feel to touch and the colors against our beige couch really pop and add a fun, jazzy coffee house vibe to the room. Now on to the fun DIY project. We actually completed this beautiful make over in only ONE day and it completely changed the piece to something beautiful. 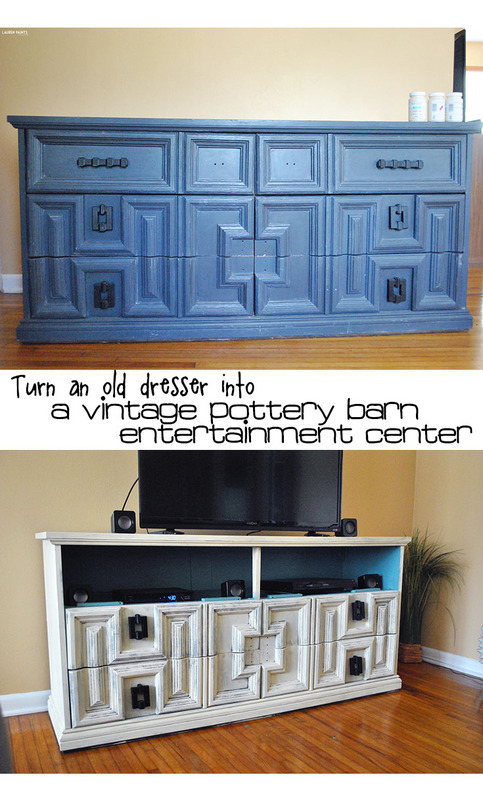 For this project, we used Waverly Chalk Paint in Cashew and Clear Wax that I found in the clearance section at Walmart. 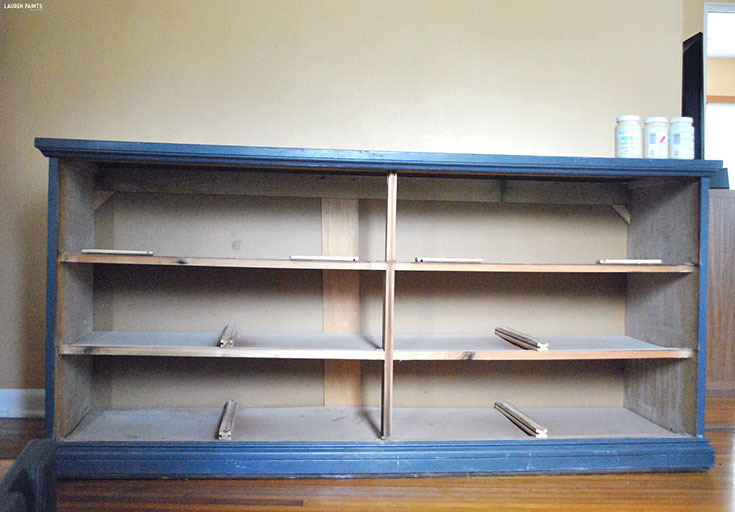 Meaning, this dresser to entertainment center makeover only cost us $6 (mind you, the dresser was a freebie find on Craigslist). To get this project started you'll want to find a place where you can paint in an open area (either outdoors or on a patio or sun porch). Open the windows and lay down newspaper, just in case. Wipe down the piece of furniture with a window cleaner. Remove the hardware from drawers and then remove the drawers themselves.Once the drawers are removed, you will want to remove the track on which the drawer sits from the two top shelves. 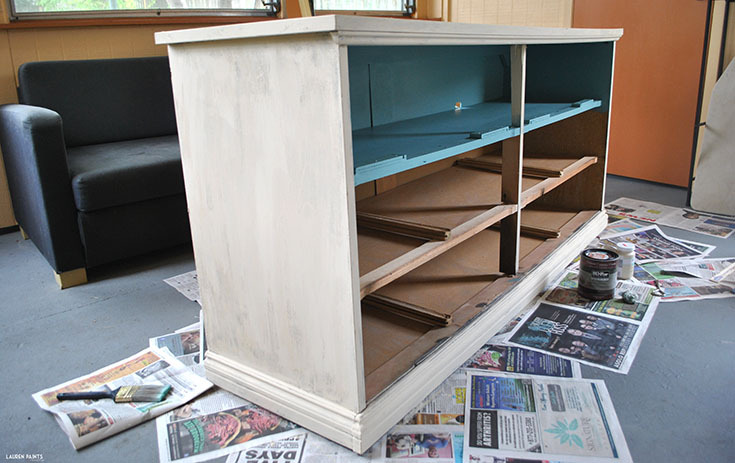 Using light and long brush strokes, start applying a layer of the cashew paint all over the oustide of the dresser. You aren't looking for perfection, allow your painting to be a little loose and the chalk paint affect will be perfect. We did two coats of chalk paint on the structure of the dresser and one coat on the drawers, allowing for a weathered nautical look. 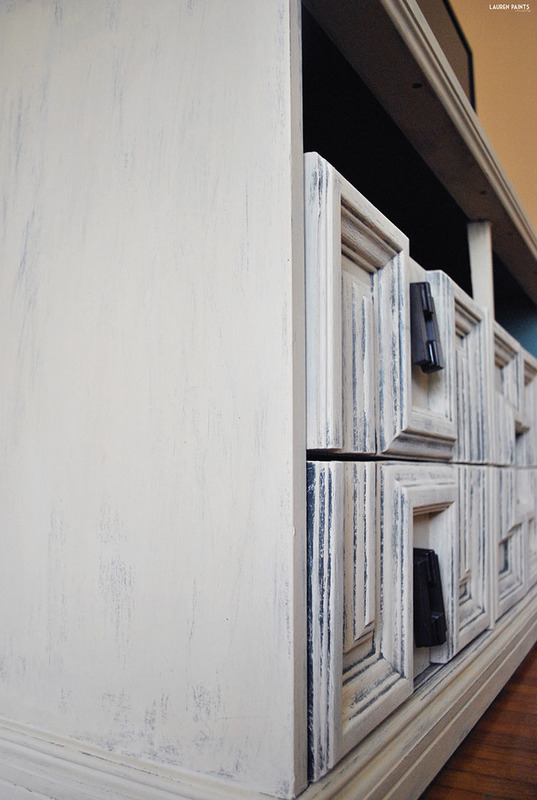 We also used an older wall paint that we already had in our stock pile to add a pop of color inside of the drawer space. After you finish painting, you'll need to use wax to coat the project. We used a restaurant style napkin as our "lint free cloth" and rubbed the wax in well. 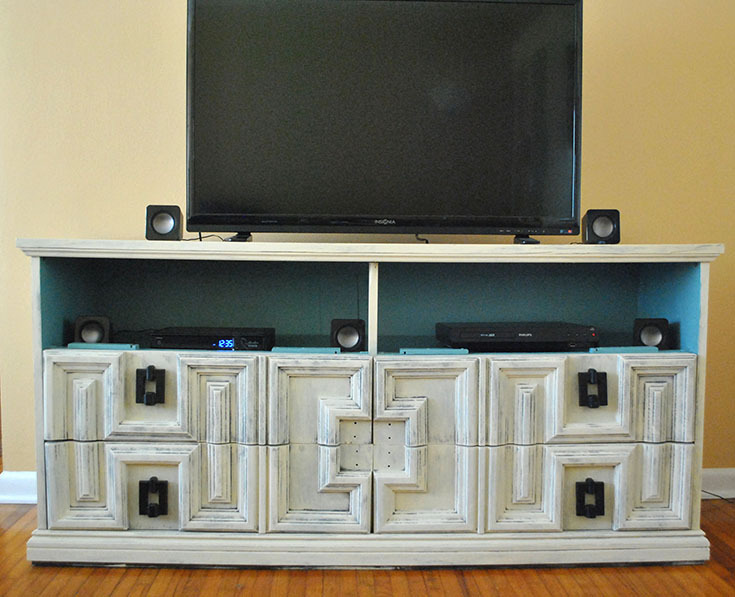 Allow the project to sit for several hours until dry, cut two small holes in the lower bottom of the drawers you will be leaving open to allow your electronic cords to run through the back of your new "entertainment center". 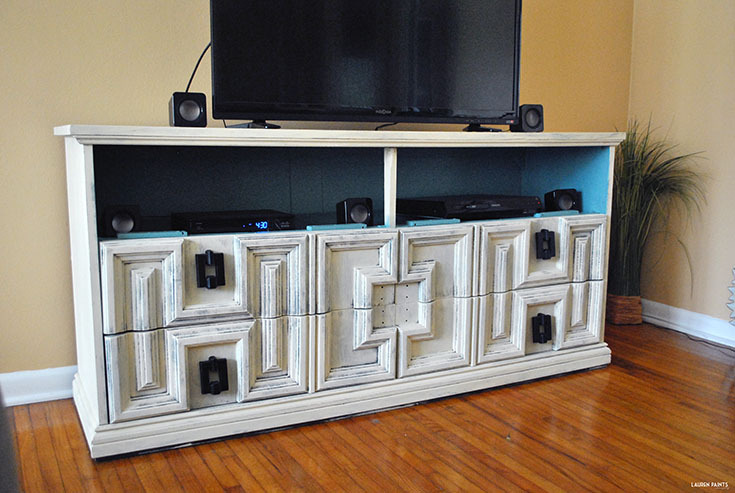 Place all the drawers back in the dresser and all of your electronics in their place and now you have a super fun entertainment center with plenty of storage for your movies and other electronic goodies like remotes, gaming systems, etc. 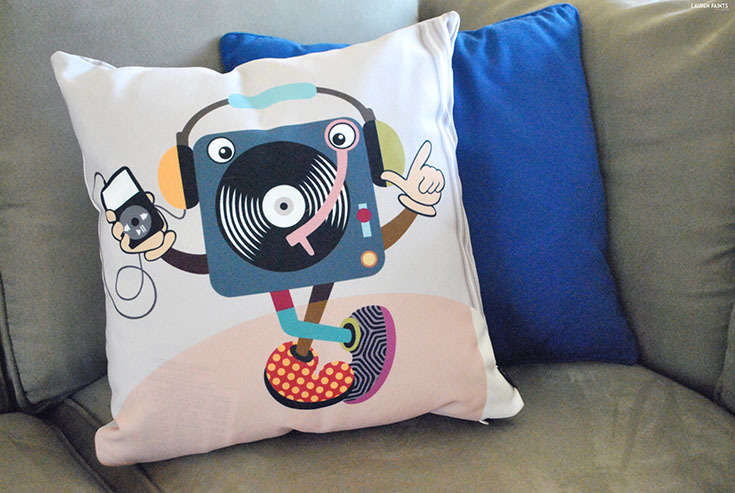 I'm still deciding on what artwork I want to hang in my living room, but for now I'm happy that the pillows and the new entertainment center are bringing a super fun and funky vibe to the room. Now that I've shared a little bit more about how we are decorating the new place, I'd love to know... What's your favorite room in your home? What about that room makes it your favorite?